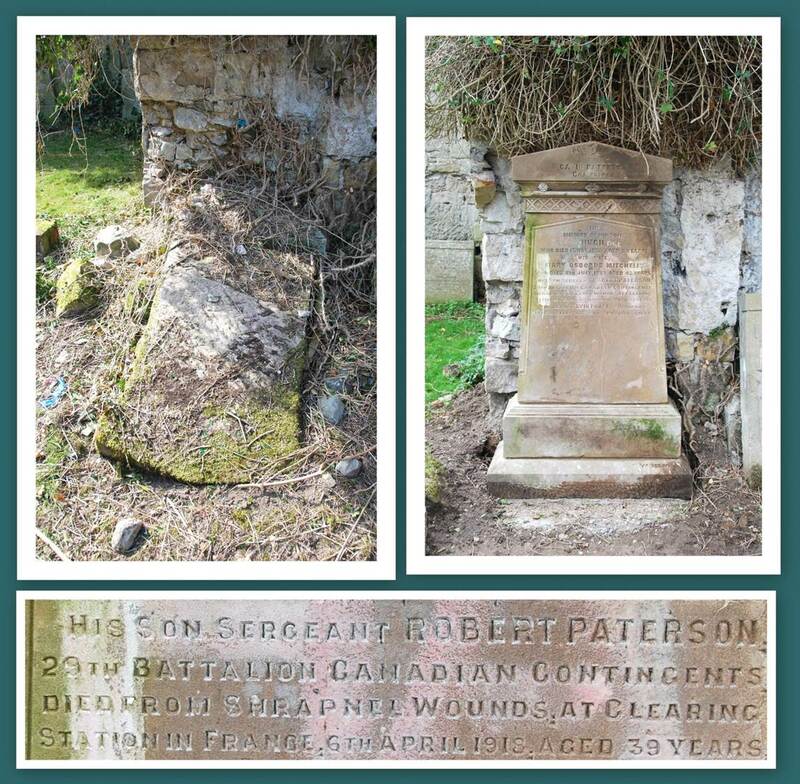 Russell Brookes and his team from Ayrshire Memorials have made great progress on the four soldier headstones we thought worthy of the most immediate attention. Below we have some before and after photographs we would like to share. 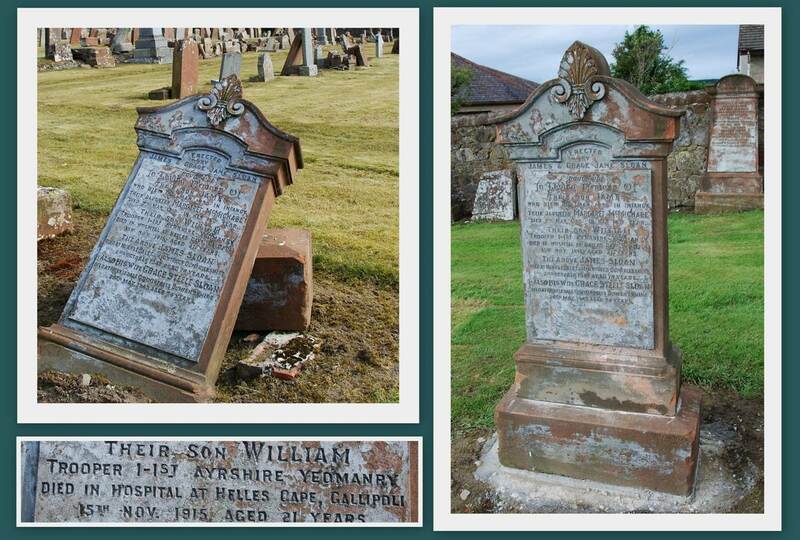 William’s headstone is in danger of being broken on its base. Walter’s headstone had fallen face-down with the inscription hidden. Archibald’s fallen headstone had been re-erected at the wrong location and with the inscription facing away. Robert’s headstone had fallen face down and to make matters worse the face had previously suffered from mindless graffitti – hopefully we can attempt to have it cleaned. 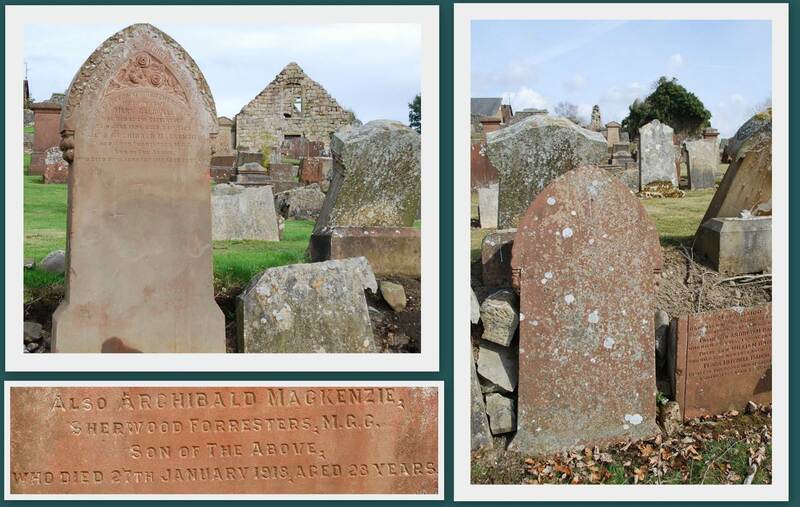 This entry was posted in Headstones and tagged Auld Kirkyard, Heritage Lottery Fund, New Cumnock. Bookmark the permalink.